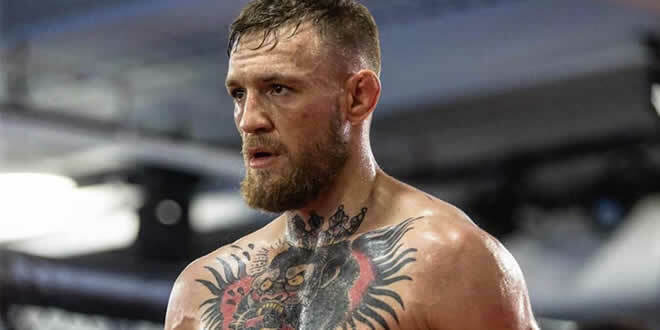 Conor McGregor hasn’t defended either of the UFC championships on his resume but his social media antics are still current enough to make the headlines. After Max Holloway defeated Jose Aldo at UFC 218, Max had successfully defended the featherweight crown that was stripped from Conor in November of 2016. Conor made note of the champion’s bruised face in a tweet that had a picture of Holloway in a wheelchair sporting a badly bruised eye. The exact quote was “I miss those sunglasses”. Holloway has indeed lost to Conor McGregor in the past but he was the only fighter to have made it to a decision with the Irish superstar in the featherweight division. Later it was revealed that Conor suffered a blown tendon in his knee which is was his reason why the fight wasn’t stopped but now that Max is the defending champion of the division, new questions arise about the likelihood of that rematch. Those questions, however, rest more on the likelihood of Conor McGregor returning to the sport at all. Many respected MMA analysts like Welterweight champion, Tyron Woodley, seem to think that Conor has nothing to gain by returning to MMA. Tyron says that Conor has way too much money to return to MMA and risk his health against killers like Max Holloway or Tony Ferguson. Woodley has another theory too. He thinks that McGregor has been carefully crafting media buzz around various events in his life outside of MMA to make another big career move. A move into Hollywood. It does make sense when you consider the drama that has been surrounding the Irishman’s personal life. The twitter misconceptions around his “date night” with British singer, Rita Ora. Peeling out in an Irish court parking lot after an appearance there for speeding. And of course, the apparent 900K hit on his head by Irish mobsters for beating up the wrong guy in a pub all make his personal life read like a movie that hasn’t been created. It only makes sense that he might want to make a move into the world of drama now that his life seems to be pull of it. All of that, however, didn’t stop Tyron Woodley, or Max Holloway from biting back on social media against the former champion and trying to entice him into a fight within the octagon. Conor McGregor still remains the #1 draw in MMA and has even garnered himself a worthy place in the top draws for the sport of Boxing as well. Just ask Manny Pacquiao or Oscar De La Hoya. Max Holloway’s real name is Jerome, thanks Wikipedia.